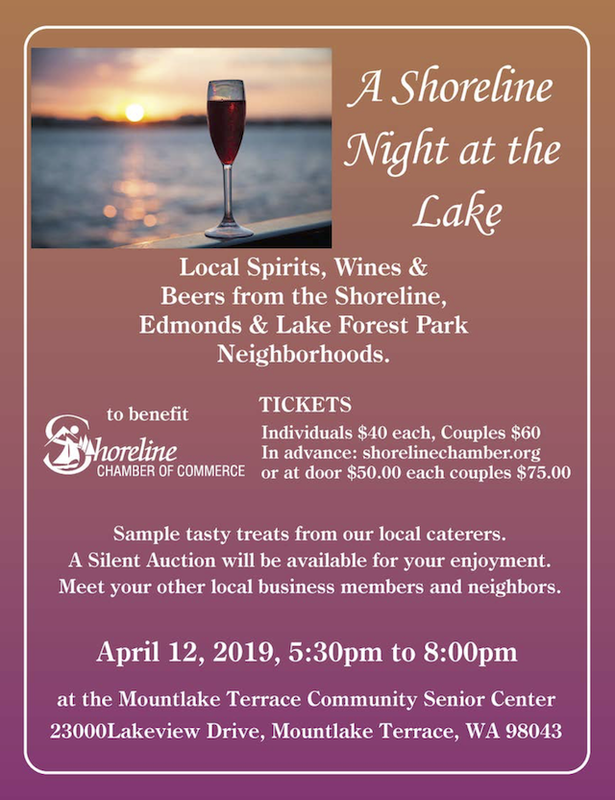 Enjoy A Shoreline Night at the Lake on Friday, April 12, 2019, with neighbors and local business members. 5:30pm to 8pm at the Mountlake Terrace Community Senior Center on Lake Ballinger, 23000 Lakeview Drive in Mountlake Terrace, 98043. Tasty treats from local caterers - a silent auction - local spirits, wines, and beers. Tickets available online - $40 individual and $60 couples. At the door - $50 individual and $75 couples.